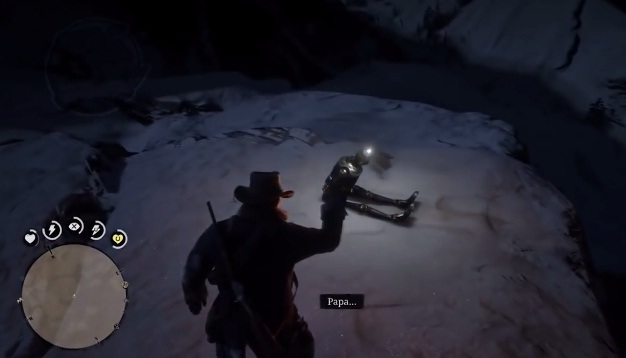 ‘Red Dead Redemption 2’ became a smash hit as soon it was released. It’s seriously intriguing to play due to the many features like interacting with your horse and being able to loot from fallen opponents. However, people keep discovering cool things about it, and you might not know about certain Easter eggs like aliens and mythical creatures. Let’s find out what else this game has hidden! It is located in Northern Ambarino in a very cryptic area of the woods. It sits on a fire inside a hut, which also has some books and other things. 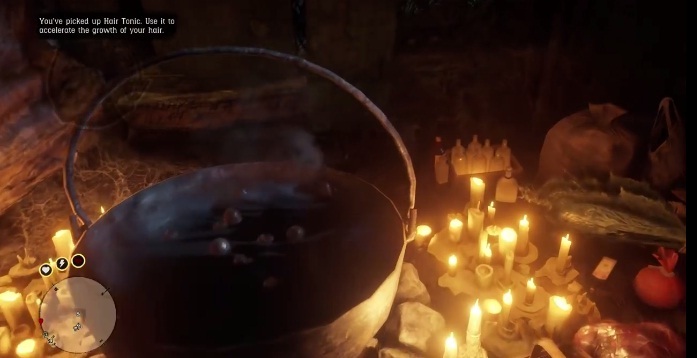 By interacting with the cauldron, Arthur can drink a bit of the potion inside it, but he is going to faint. 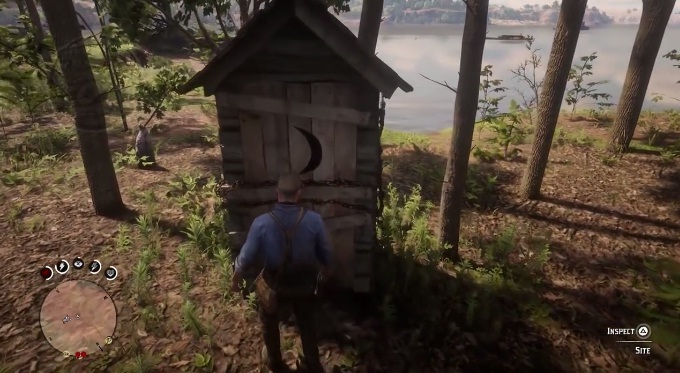 When he wakes up, Arthur will be outside the hut for some unknown reason. Before trying to get this Easter egg, players have to discover at least 30 animals. This means going near them and pressing R1 or RB. After that, you need to go once again to Northern Ambarino, and at one point, there will be weird birds in the air. Follow them to a cave, and as Arthur rides or walk nearby, Big Foot will talk. Players have to complete the Marko Dragic side missions before being able to see this cool extra. It is also located in Northern Ambarino but at the top of an icy mountain. It is not that special, but true gamers should get to see all the Easter eggs. This one is a little cryptic and also located in the mountains of Northern Ambarino. 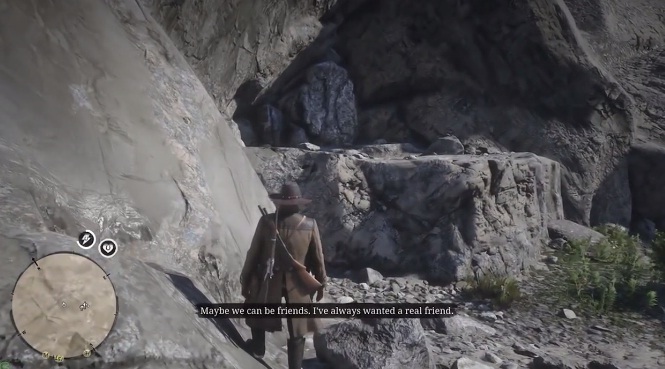 Arthur encounters their barren camp and it truly seems like the couple ran out of supplies, their horse died, and they froze solid while holding each other. Another Easter egg found in Northern Ambarino is one of our favorites. 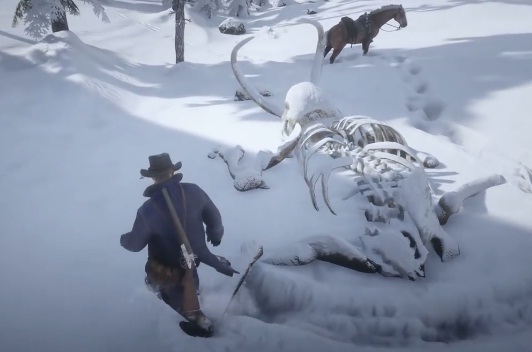 The player can find the remains of a Mammoth, and Arthur catalogs it in his notebook. It’s pretty interesting because those are creatures that roam the world thousands of years ago. For Mexico and other Latin countries, La Llorona is a myth about a woman who lost her children in a river and now cries for them. Those that encounter her suffer greatly. 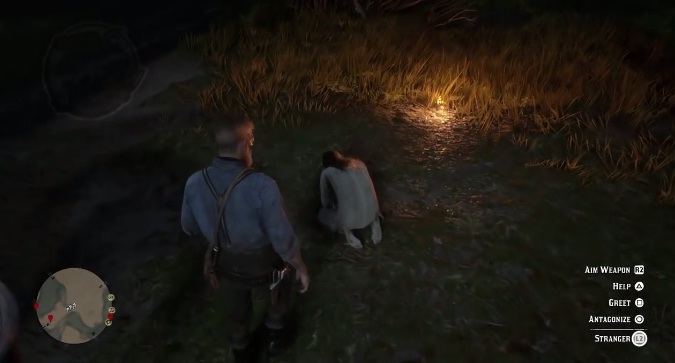 Just like in real folklore, when Arthur tries to help her, she tries to attack him, and that is when Night Zombies show up. 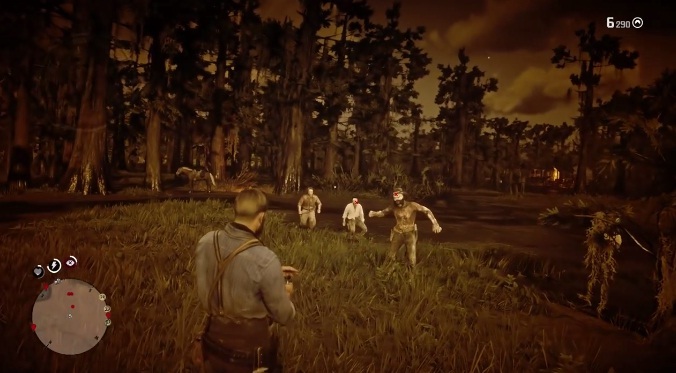 La Llorona pulls a knife on Arthur and runs away, but he chases her, zombies appear out of nowhere and run after him as well. Number 15 and Number 14 are actually combined but still worth it because the player can kill them all. They are located West of Van Horn. 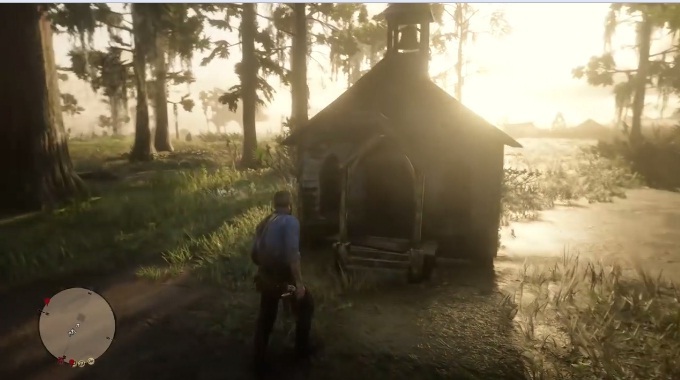 Located in the woods of Lemoyne, there is a miniature church that could pass off a kid’s big dollhouse. 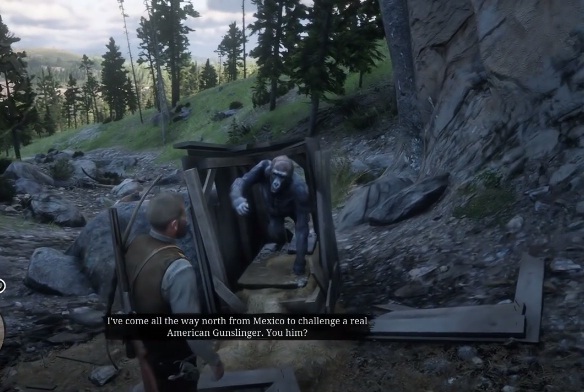 There is no reason to it, but it’s pretty funny watching Arthur crawl inside it. Is it possible that there are tiny people in the game as well? 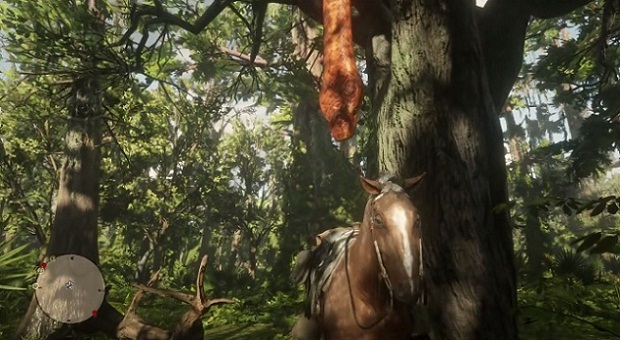 Another Easter egg placed in Lemoyne is a giant snake hanging from a tree. It does not move or anything, but it looks like the one in ‘The Jungle Book’. It might be a reference to that story. Of course, those that are afraid of these creatures should avoid this particular finding. In the forests surrounding Braithwaite Manor, players can find a girl locked in an outhouse. She is completely insane, cannot count well, and her hair has been horribly chopped off. It is hard to tell the significance of this find, but many rich people back then did not like crazy ones. 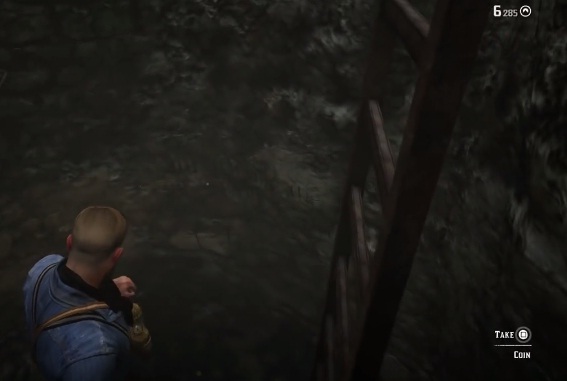 There is another Easter egg in Lemoyne, and it’s actually a well, which is not that surprising considering the time and theme of the game. However, once Arthur climbs the ladder down, he finds tally marks, which means that someone was trapped down there. The player can also encounter some handy coins. 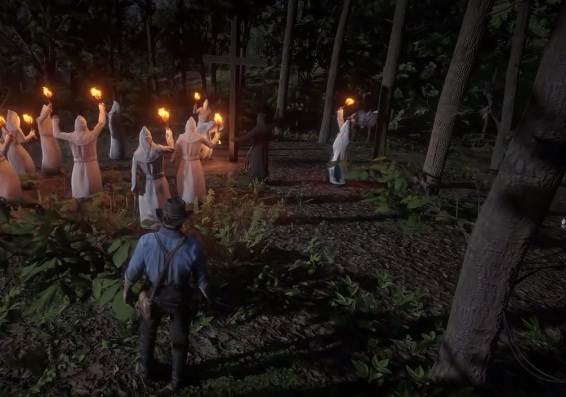 Riding Southfield Flats, near Rhodes, Arthur might be able to find a clan meeting, which is obviously a reference to the KKK. They gather to light a cross on fire, but one of the leaders accidentally ignites his own robe. It’s pretty hilarious because the rest run away while that one guy dies. Near Van Ho Trading, Arthur finds an abandoned home with boarded-up windows. He climbs up to the roof and through an open window to find a weird creation. A figure with the head of a pig and the body of several different animals. Scattered around the room, there is a bunch of notes on how that thing was assembled. 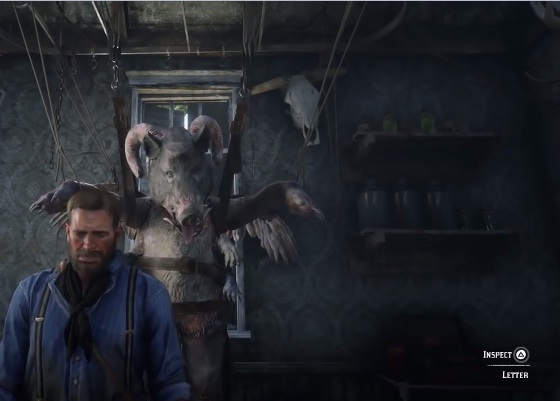 This one is also located near Van Ho Trading, and it is a pretty cool reference to Bonnie in ‘Red Dead Redemption 1’. 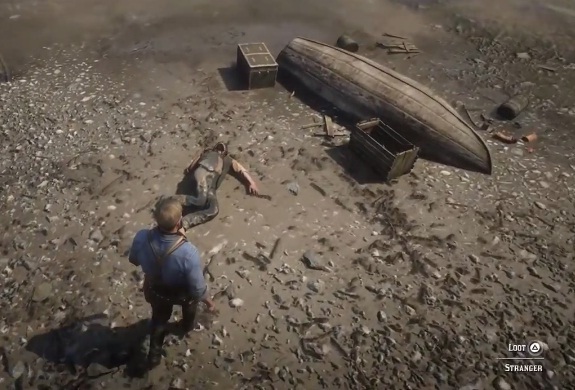 There is a man near a canoe that seems to be dead, but when Arthur gets near, he wakes and gives him a letter. Then, he truly dies. 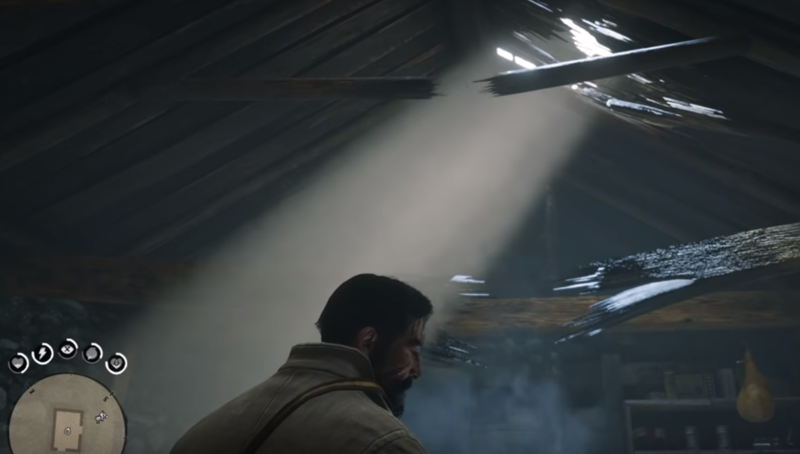 This Easter egg is near Roanoke Valley, and a meteor clearly landed inside the home, killing everyone in it. There are bodies strewn all around and a hole in the floor. 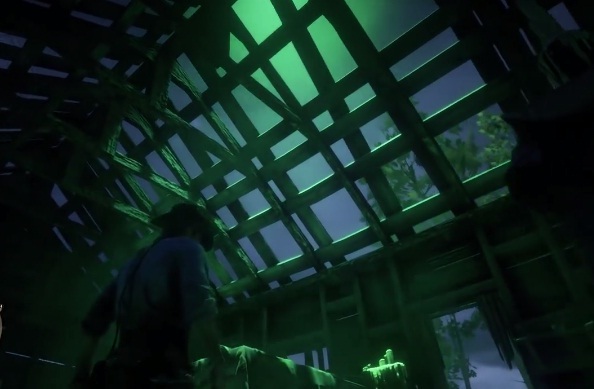 Located in New Hanover, there is an abandoned shack that Arthur has to visit at 2 a.m. to see a pretty cool reference to the Heaven’s Gate cult. This was actually a real society that killed themselves while wearing the same shoes. There are several bodies in bunk beds with the same looking sneakers. Then, an alien spaceship flies over the hut for a couple of hours. 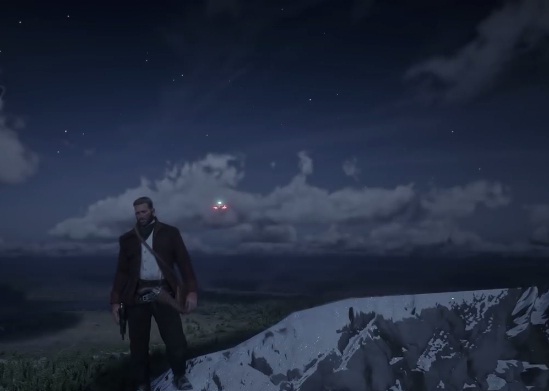 At the top of Mount Shann, Arthur can see another alien spaceship at 2 a.m. This is smaller because it does not get as close. Also, it flies on the horizon for a while and leaves. 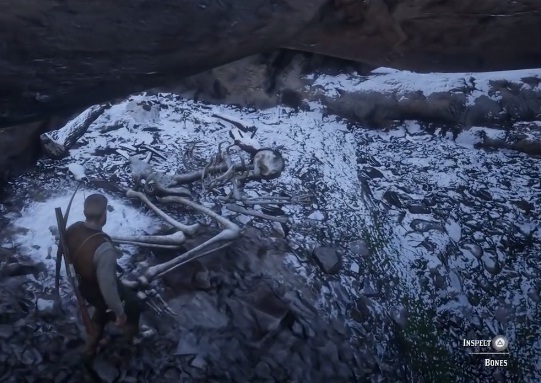 This one can be found in the mountains of West Elizabeth, and it just a huge skeleton. They do not specify if it is Big Foot or not, but clearly, it is not normal or human. Sasquatch is the best bet at this point. Also located in West Elizabeth, there is a fake gorilla. It could a sculpture or perhaps a stuffed one. It looks like there was some sort of accident because it sits inside a broken crate which must have fallen from a coach. 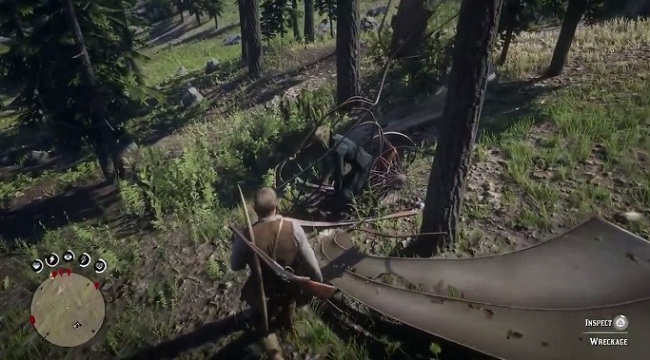 This is another Easter egg in West Elizabeth, and it is also crazy because ‘Red Dead Redemption 2’ is set three years before the first plane achieved flight. It seems that there were many failed attempts at the time. The machine is broken, and sadly, the pilot died in the crash. Only true gamers will take the time to find all these cool Easter Egg. Let us know which one is your favorite. 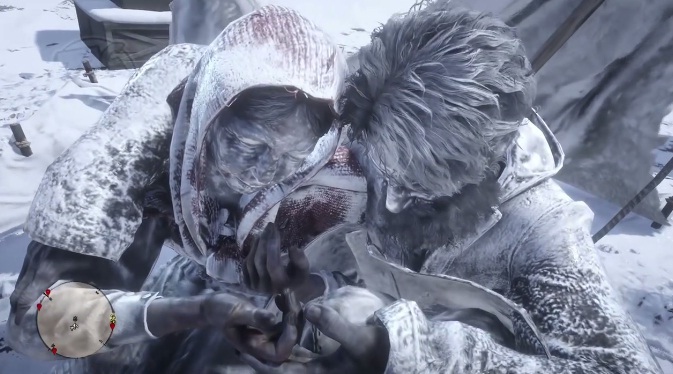 If you liked this article, share it with your friends that are still obsessed with the game. See you next time! Gamer lovers look out for these amazing must-have tips on how to conquer ll your missions in the new 'Red Dead Redemption' game. We've compiled a lit for you that will help you on your journey. So check it out and prepare your journey as you ride off into the sunset.